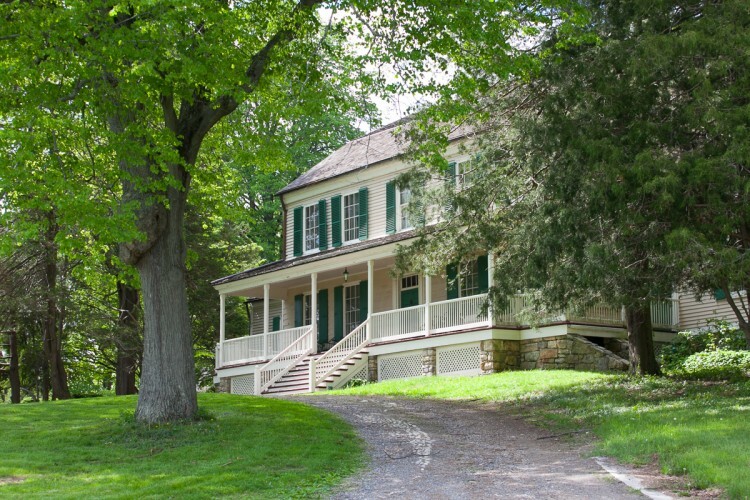 John Jay built the earliest part of the house (the center) between 1787 and 1790 as a residence for his farm manager. He expanded the house between 1799 and 1801 to become his home after retirement. In 1818 a wing was added on the north, built to provide bedrooms for John Jay’s son William’s children, and a new kitchen below. A small addition was built onto this wing in 1904. Finally, the stone wing on the west was added between 1924 and 1926 by John Jay’s great-great-granddaughter, Eleanor Jay Iselin. Docent-led tours of the historic house museum’s twelve period rooms are available on a regular schedule. Click HERE for tour times. Click HERE for more information on John Jay’s Bedford House.